Transfer to the airport for morning flight to Dalanzadgad, which is a small town of Gobi. Upon arrival, your Gobi tour guide will be waiting for you at arrivals and drive to the Bayanzag - is a famous for the first discovery of dinosaur eggs, bones and complete dinosaur skeletons which is first discovered by Roy Chapman Andrews, American expedition in the 1920. We will find an egg and bones of dinosaurs around Bayanzag. White fossilized bones are still found nowadays. The red flaming cliffs of Bayanzag are looks like fire in the middle of the desert from distance. Stay overnight at "Mongol Gobi" tourist Ger camp. After breakfast we will drive west to the extraordinary sand dunes of Khongor. 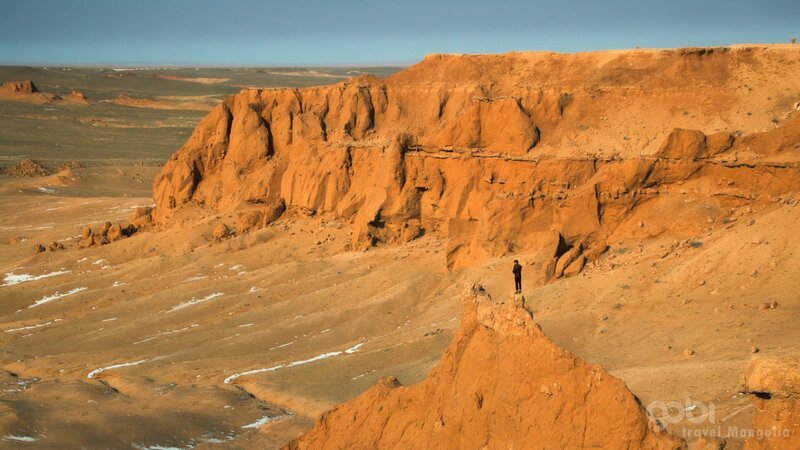 This is one of the most scenic areas of Gobi. The dunes rise abruptly from the plain, in some places reaching a height of 300 meters, and extend over an area between 2-12 km in width and 180 km in length. After lunch at “Gobi Discovery” tourist Ger camp near the Khongor sand dunes, we will visit camel herder family in their Ger, explore their unique nomadic lifestyle. Its chance to try drinking Hormog (fermented Mongolian camel milk). The sand dunes are the perfect place for camel riding. We will discover this magnificent place on camel back. Mongolia is home to 2/3 of the two-humped Bactrian camels in the world. It is a gentle, calm and extraordinary patient animal and can carry on without water for a month. Bet, you never rode a Bactrian camel, riding a Bactrian camel is much more comfortable than the camel in Sahara, India or anywhere else. Its two humps support you from both sides and easy pace will comfort you so much. 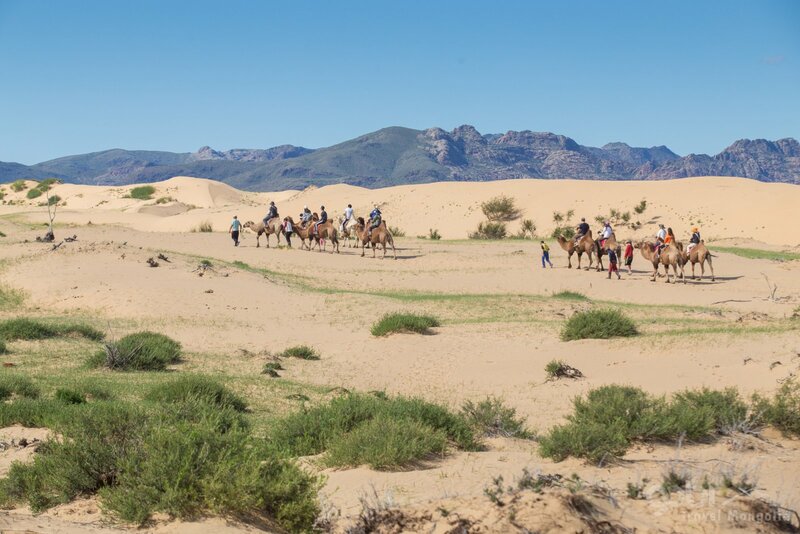 In the evening, we will climb up to the Singing Dune, one of the highest dunes, opportunity to see the breathtaking view of the surrounding area and amazing sunshine panorama of sand dunes. When it is windy some of the dunes give a strange sound like the engines of an aero plane, for which they are named the “singing dunes”. 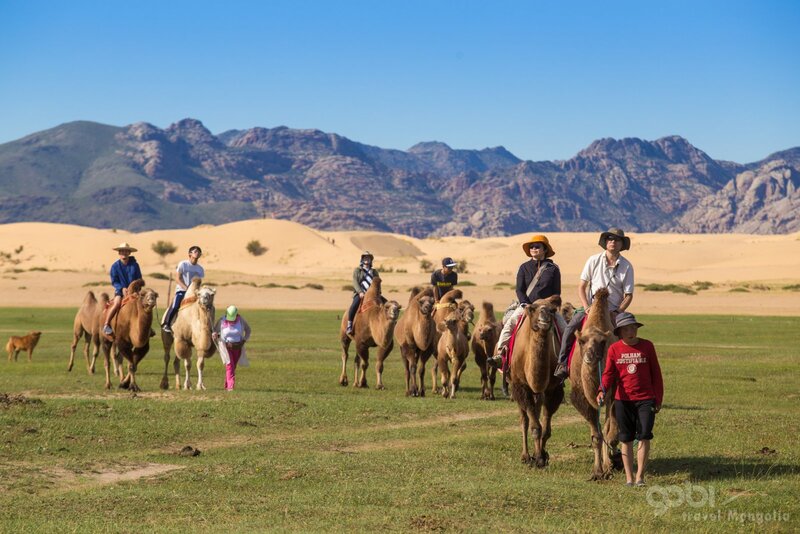 Stay overnight at “Gobi Discovery” tourist Ger camp near the sand dunes. 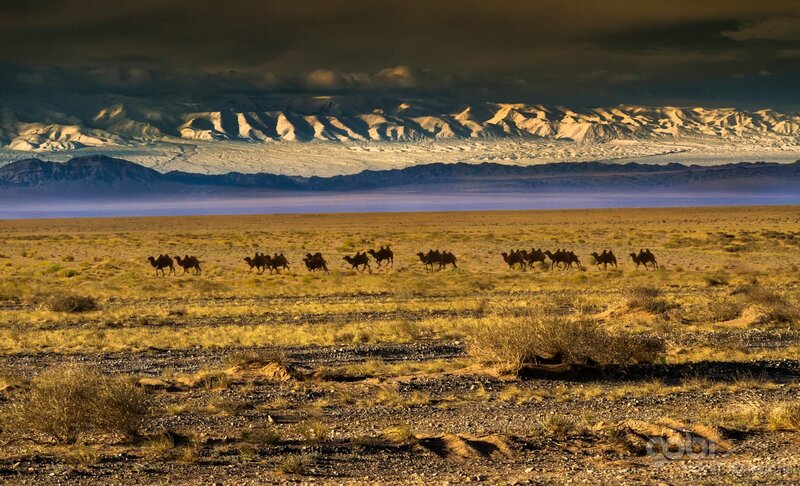 Today, we will drive continues to the Yol valley situated in “Three beauties of Gobi” Mt. National Park. Yol means Lammergeyer, one of the most endangered bird species of prey. The valley is notable for a deep ice field; it remains frozen for most of the year, except late summer. After lunch at tourist Ger camp near the National Park, we will visit Yol valley. 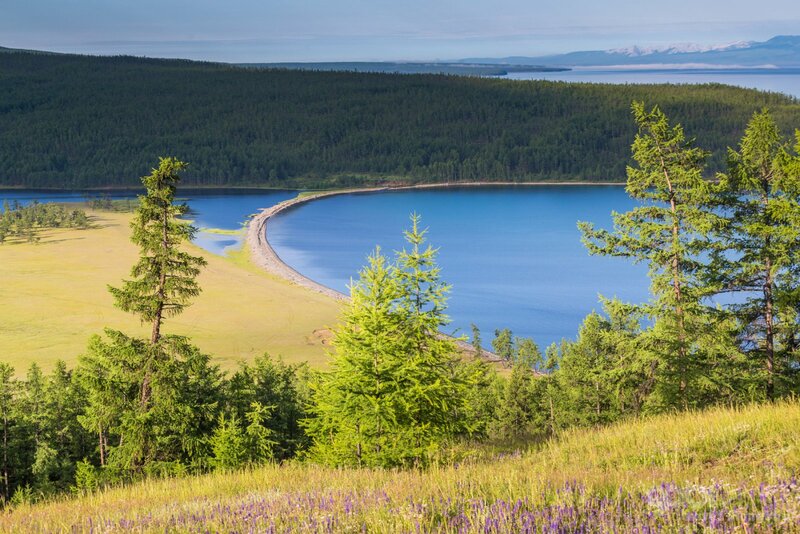 There is we will make little hiking through grassy meadows, small streams, long and narrow valley with sheltered by high cliff walls, sunlight bouncing off amazing rocks, covered with wild flowers and Gobi plants. You may be lucky enough to spot wild sheep and goat, grazing high on the cliff walls. Stay overnight at tourist Ger camp. In the early morning transfer to Gobi airport for return flight to Ulaanbaatar. Upon arrival in the city, your driver waiting for you at arrival hall and transfer to the hotel. 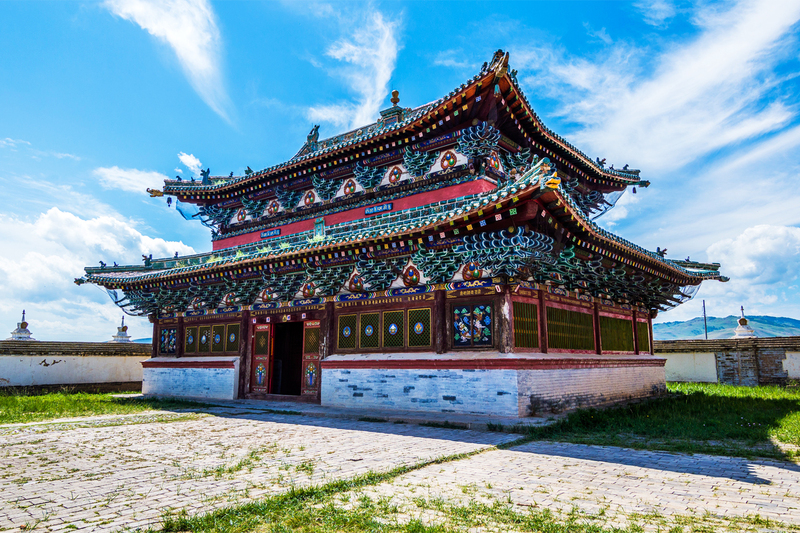 This day we will enjoy city sightseeing tour in Ulan-Bator.